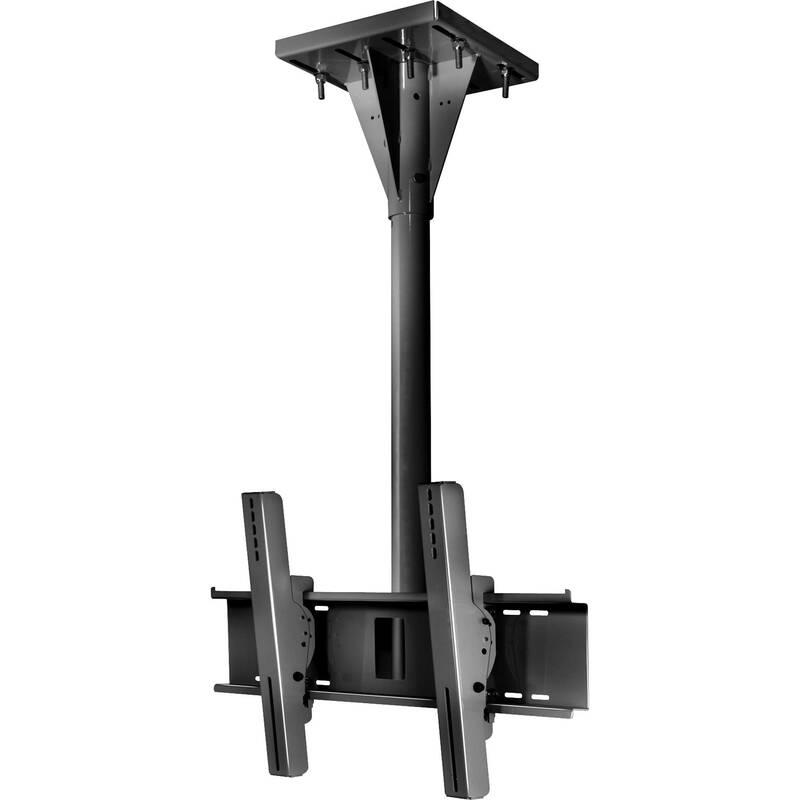 The Peerless Industries ECMU-01-I Wind Rated I-beam Tilt Mount (1' Pole Length, Black) is designed for 32" (81.2cm) to 65" (165cm) outdoor flat panel displays and has a maximum load capacity of 200 lb (90.7kg). The tilt mount supports the universal mounting pattern 28.39 x 17.67" (721 x 449 mm) VESA up to 600 x 400 mm. Incremental tilt with angle settings at 0°, 2°, 5°, 10°, and 15° enables wide viewing angle flexibility. You can also set the tilt for 15° forward and 5° back. Easy installation is possible owing to the hook-and-hang design. Horizontal positioning of 8” (20.3cm) is also rendered possible. With a wind rating of 90 mph at an elevation of 200’ (60m), category D, it can withstand tough weather conditions. The ECMU-01-I Wind Rated I-beam Tilt Mount is constructed from heavy gauge steel sealed with corrosion resistant E-Coat and stainless steel hardware, making it theft resistant, and ideal for screens which have to be used in public places.